The rackmountable Gefen 4x1 SL/DL DVI Switcher offers an economical solution by eliminating the need to purchase many displays for each computer in a studio or lab environment. 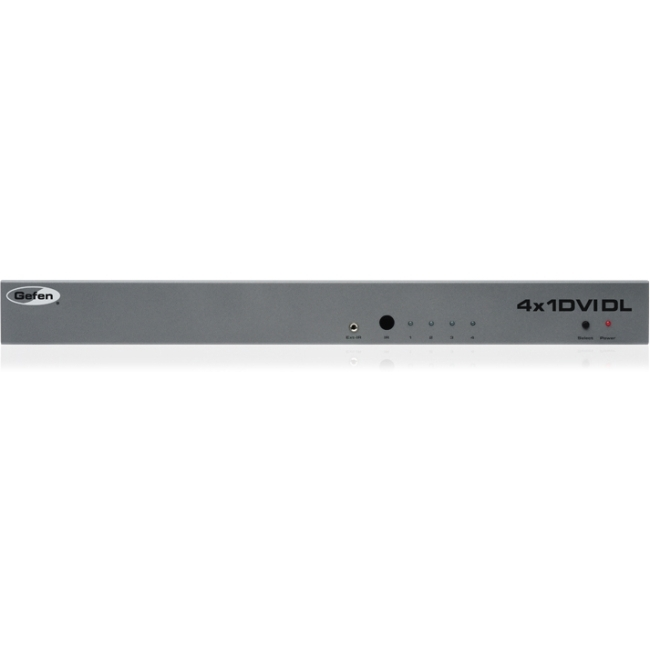 A plug-and-play solution, the 4x1 DVI DL Switcher shares one display with up to four computers, saving space on your desktop. The source computer is selected using the included IR remote control or through RS-232 control.